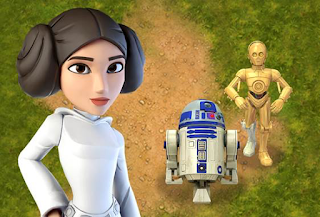 Today, Code.org unveiled a Star Wars-themed computer science tutorial featuring Princess Leia, C-3PO and R2-D2 as well as Rey and BB-8 from the upcoming film Star Wars: The Force Awakens. 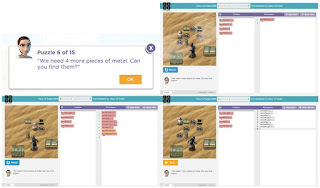 The online lesson kicks off the third-annual global Hour of Code campaign, in honor of Computer Science Education Week, December 7-13, 2015. Thanks to Disney and Star Wars, students will learn to write code that allows them to create fun challenges and games using Star Wars characters. Participants will join forces with Rey to guide BB-8 through a space mission, then team up with Princess Leia to build their own game featuring R2-D2 or C-3PO. Students will also be able to play their completed games on smartphones, and share them with friends and family through a unique link. This is the second year Disney has worked with Code.org on a coding tutorial featuring Disney characters. Last year’s tutorial — which President Obama participated in at the White House for the Hour of Code last December — has been completed more than 13 million times and tapped Anna and Elsa from Walt Disney Animation Studio’s blockbuster film “Frozen.” More than 100 million students across 180 countries have tried an Hour of Code tutorial, including one in three students in US schools, according to Code.org estimates. Code.org’s unique blocks-to-text programming environment. For beginner and younger students, a tablet-friendly drag-and-drop version will be available in the next few weeks. 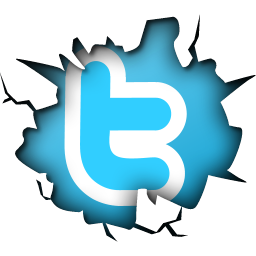 The tutorial will also be translated into more than 40 languages. The tutorial is supported by Star Wars: Force for Change, a philanthropic initiative that harnesses the strength of Star Wars and its global fandom to empower people to come together to make a positive impact on the world around them. In addition to the lesson, role models and technologists, including Lucasfilm President Kathleen Kennedy, Rachel Rose, a Senior R&D engineer working on Star Wars: The Force Awakens, and Charita Carter, Senior Creative Producer at Walt Disney Imagineering, have provided short video lectures to help students through the one-hour activity. “Millions of us have been transported to a galaxy far, far away thanks to the creativity of the team behind Star Wars. Every one of us, especially young boys and girls, should also have the chance to learn how to power our own creativity with computer science," said Hadi Partovi, co-founder and CEO of Code.org. 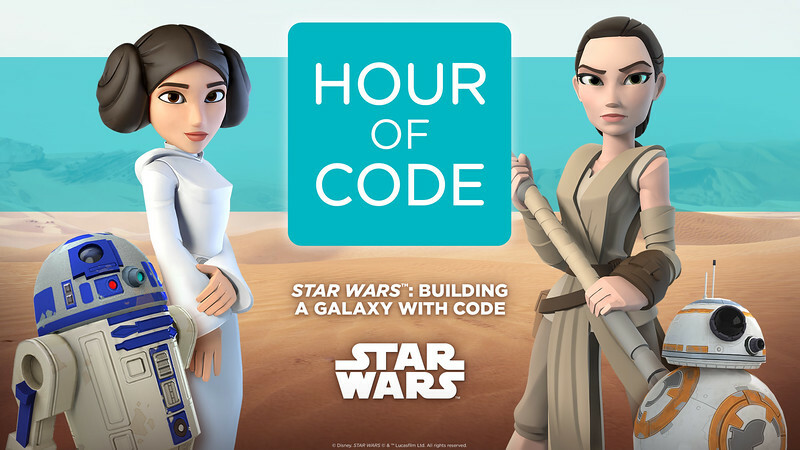 "Code.org is honored to have the support of Disney and Star Wars on the Hour of Code, making it possible for students everywhere to experience firsthand how this foundational field opens new doors, and can be a lot of fun too." In addition to partnering with Code.org to make the “Star Wars: Building a Galaxy with Code” tutorial available for free in more than 180 countries, The Walt Disney Company is donating $100,000 to support Code.org’s efforts to bring computer science education to afterschool programs throughout the United States. One lucky classroom will win the grand prize – a trip to San Francisco, Calif. for an exclusive, behind-the-scenes “Making of Star Wars” experience with the visual effects team who worked on Star Wars: The Force Awakens. The grand prize is courtesy of ILMxLAB, a new laboratory for immersive entertainment, combining the talents of Lucasfilm, Industrial Light & Magic and Skywalker Sound.Sphero, a company that participated in the 2014 Disney Accelerator, will also be gifting programmableBB-8TM droids to 100 participating classrooms. HP Inc has also donated Star WarsTM Special Edition Notebook devices to 10 participating teachers. And during Computer Science Education Week in December, Disney will host an Hour of Code event for local students at their Los Angeles office, and Disney VoluntEARS will support Hour of Code events around the world. The “Star Wars: Building a Galaxy with Code” tutorial is the newest addition to Code.org’s online learning platform, Code Studio, which offers a suite of self-guided computer science activities and courses for students to learn the fundamentals of computer science, starting as early as kindergarten. At a time when the majority of K-12 schools don’t offer computer science, more than 5 million students have enrolled on Code Studio since its 2014 launch, including 10 percent of all K-8 students in the United States. Additionally, 43 percent of Code Studio students are girls, and 37 percent are black or Hispanic. This reach is substantial, considering women hold only 23% of computing jobs, just 18% of bachelor’s degrees in computer science are awarded to women, and only 22% of high school AP Computer Science exam takers are girls. Furthermore, only 18% of bachelor’s degrees in computer science are awarded to blacks and Latinos and, at the high school level, 9% of AP Computer Science exam takers are Hispanic, and just 4% are black.